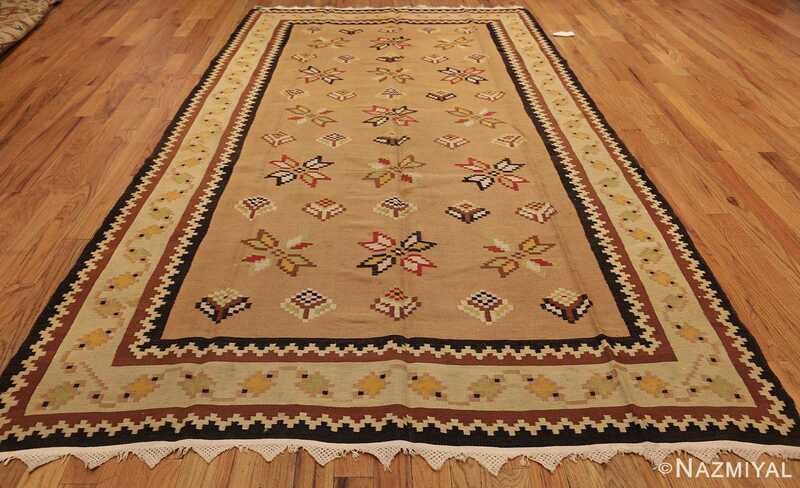 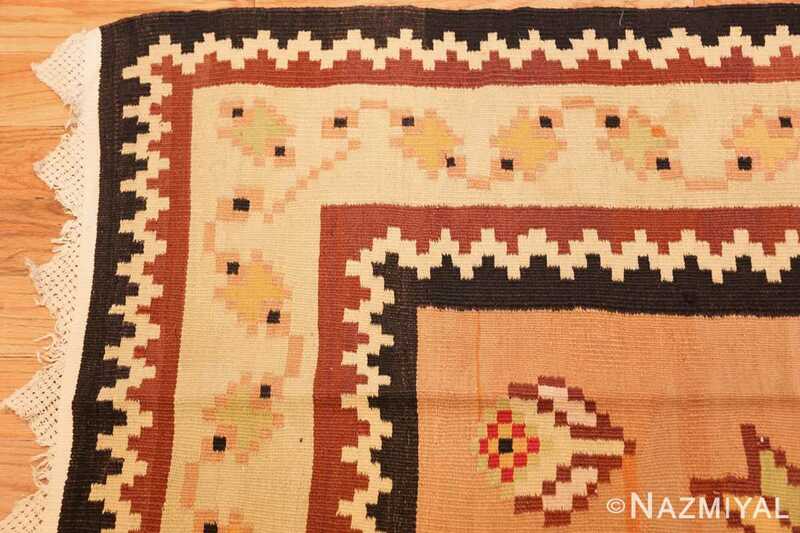 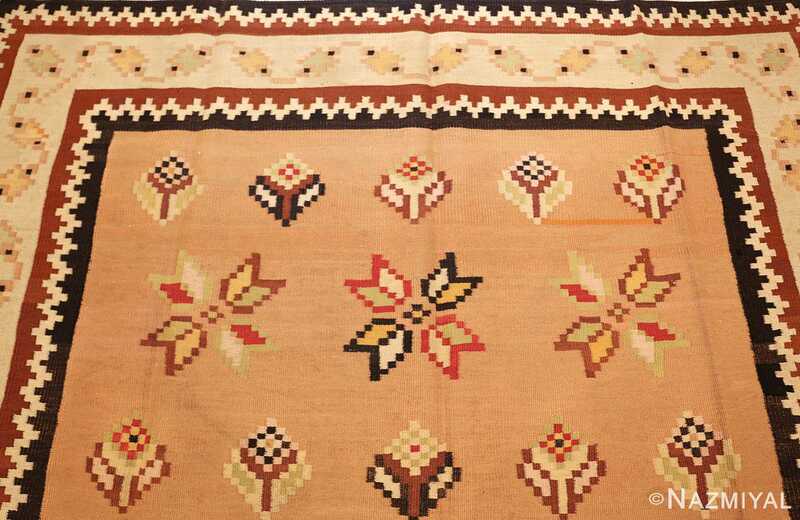 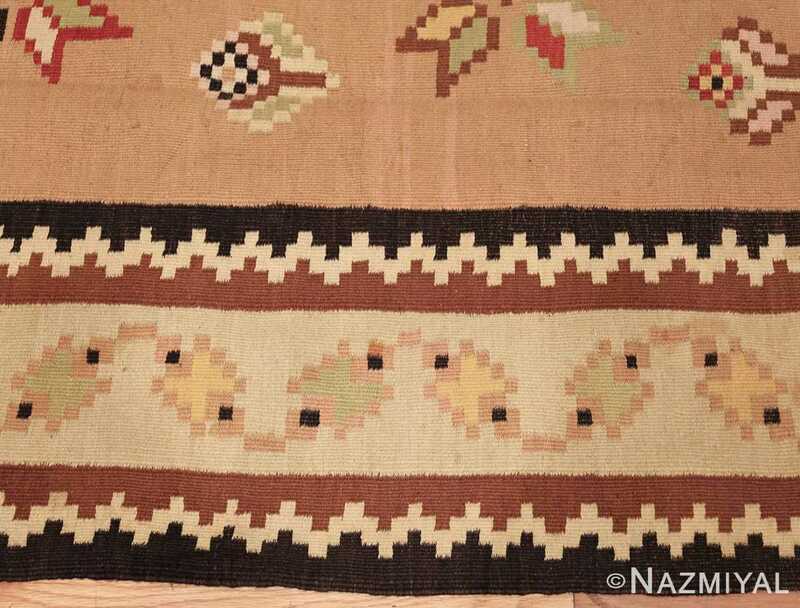 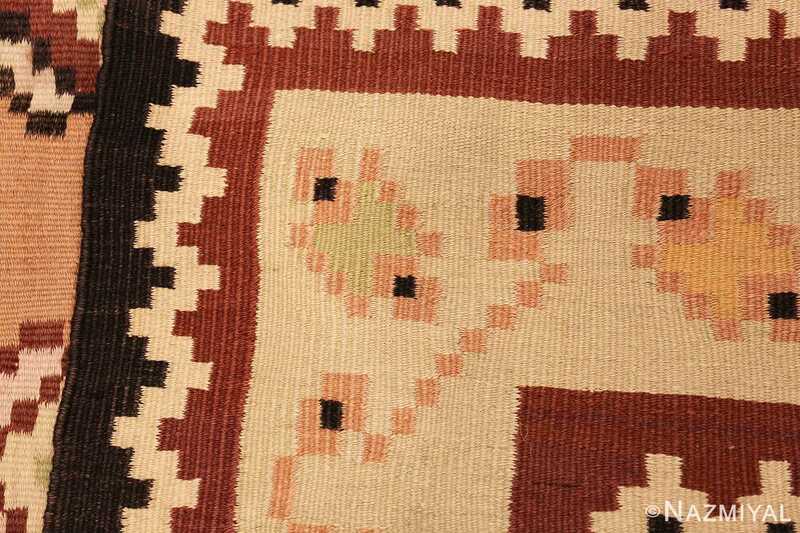 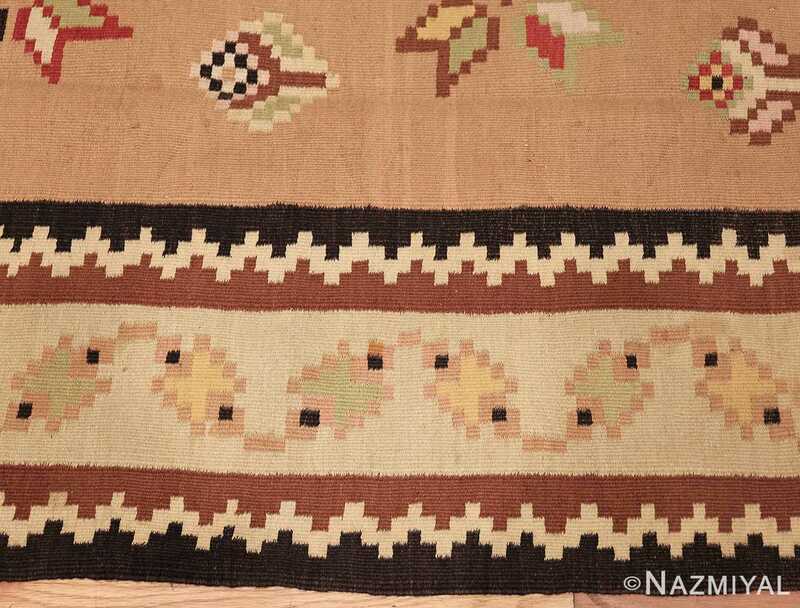 Antique Bessarabian Kilim, Origin: Romania, Circa: 1920 – Born out of Romania’s discrete weaving traditions, this comely antique Bessarabian kilim showcases a collection of repeating right-angle figures that have a whimsical, folksy style. 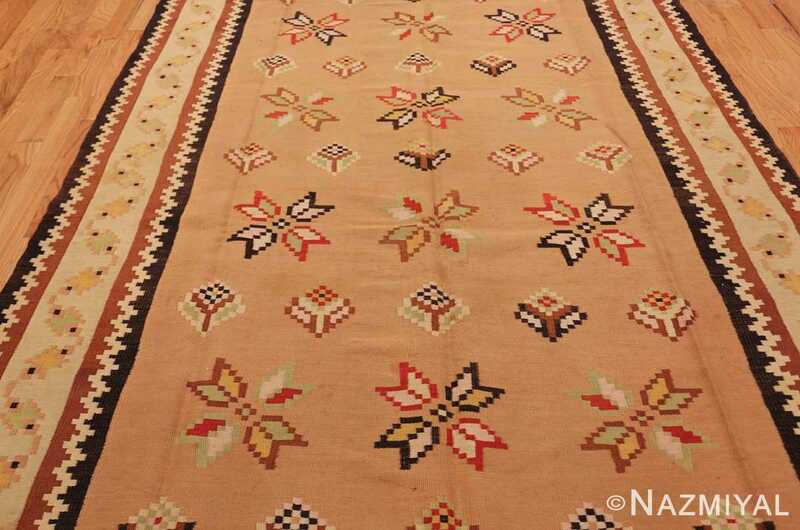 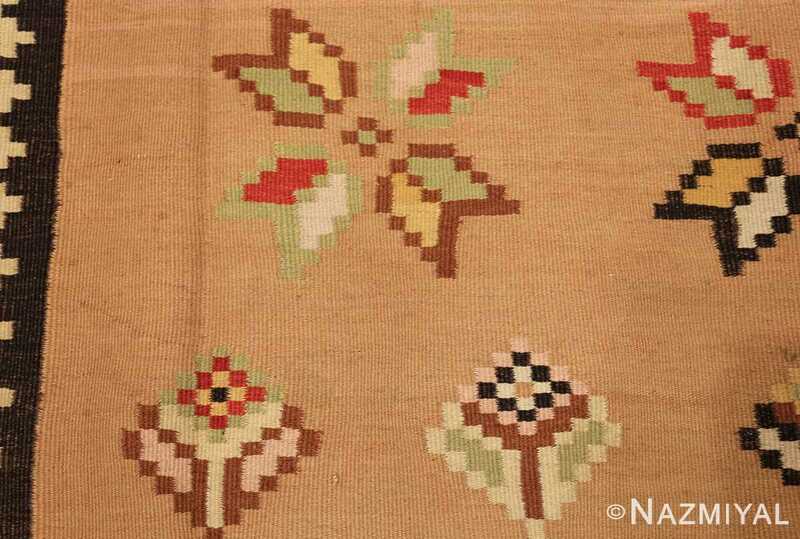 These delicate motifs have an attractive level of simplicity and an aura of elegance that is much different from neoclassical pieces also created in the region. 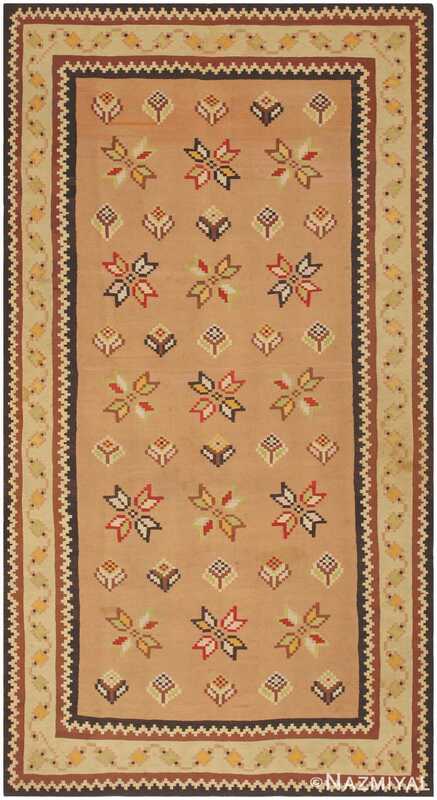 The warm taupe field is dotted with rows of charming florets and brightly colored eight-pointed stars. 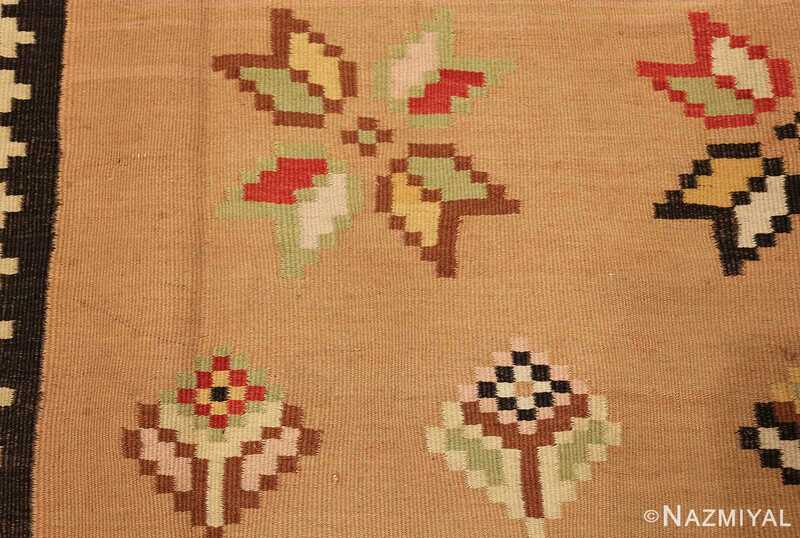 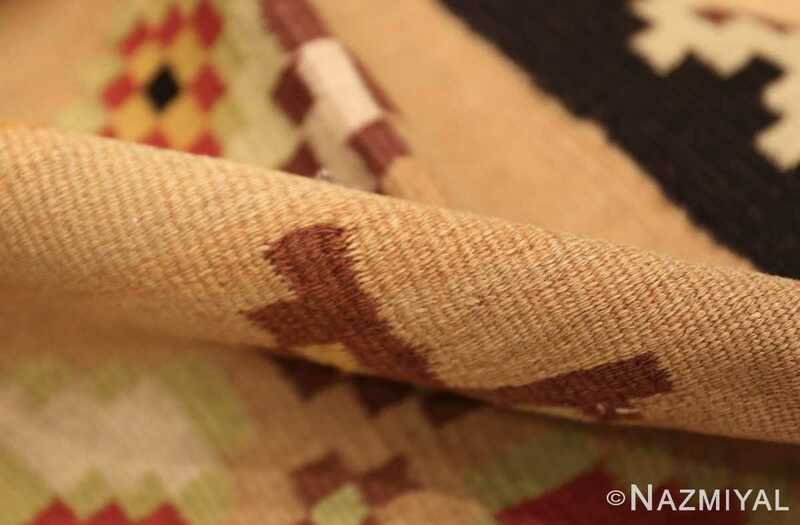 These traditional motifs that hearken back to the roots of Eastern European symbolism are constructed using a series of right-angle components and checkerboard accents that are found in many flat-weave rugs. 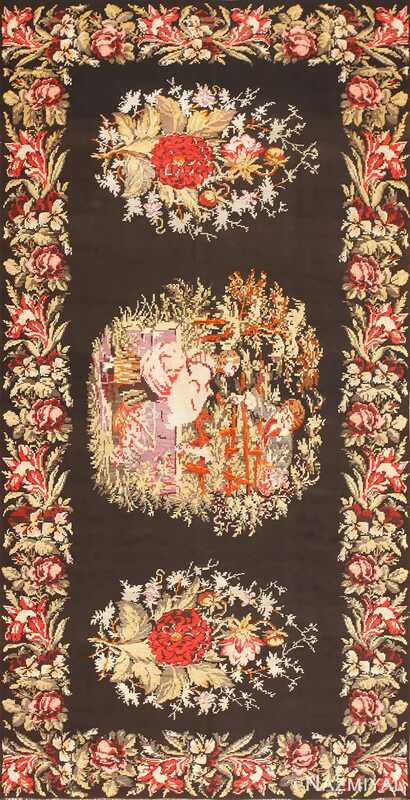 Zigzagging guard-bands and reciprocating vines encircle the flower-covered field and emphasize the universal nature of modular weaving motifs that can be customized through their configuration and coloration.